Fun ways to soak up the Aussie culture and scenery just south of Sydney. If you’re a traveler in Sydney who wants to escape the crowds and experience a more peaceful, local side of New South Wales, head south out of the city down the Grand Pacific Drive. This the Illawarra Region of NSW, which is full of relaxing coastal towns and gorgeous beaches. 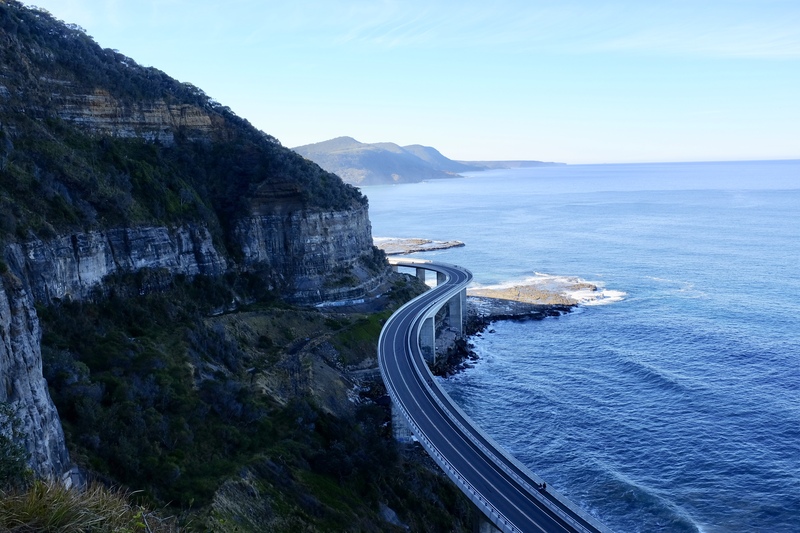 If you don’t have a car you can reach any of the little towns by the Southern Train Line from Sydney, or you can drive down the famous coastal road yourself. After living in, and exploring this area of Australia for a couple months now, I’ve compiled a list of some awesome things to do along the Grand Pacific Drive. This road continues for 140 km all the way down to Shoalhaven, but this post will only go as far south as the Kiama region. 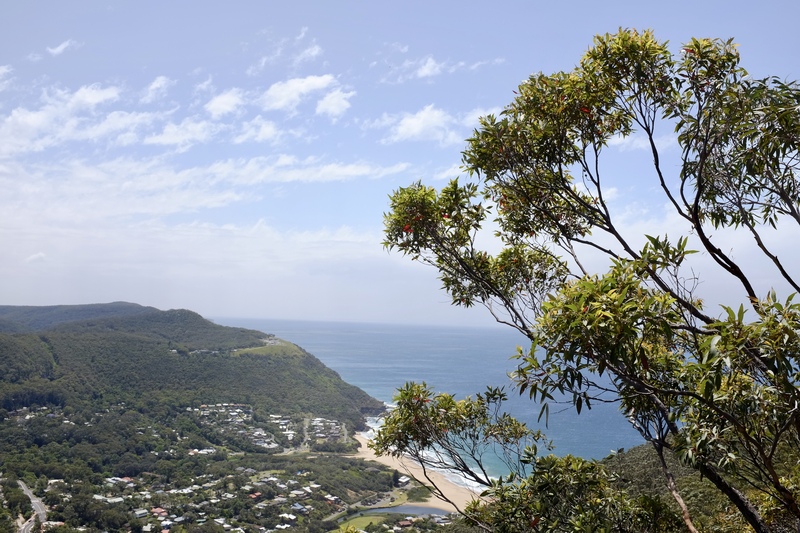 For a challenging hike, climb up to Sublime Point Lookout in Thirroul. The hike is only about 30 minutes, but it’s incredibly steep and not for the faint-hearted. The winding wooden steps take you through the dense forest up the Illawarra Escarpment cliffside, and eventually you have to climb metal ladders as the terrain gets too steep. Once you reach the top, the breathtaking panoramic view and fresh coastal air will make you forget about your burning thighs. Every fourth Sunday of the month, an trendy market covers the grounds of Coledale Public School. Countless stalls of interesting homemade and vintage goods will captivate you for hours, and there’s even a few hot food stalls where you can eat lunch. The market runs from 9am until 3pm, and there’s often live music to serenade you while you shop. This iconic cliffside bridge is incredible to drive along, and to look at from above. Just park along the side of the road and you can walk next to the road on the sidewalk. For the best view, just venture into the bush at and start climbing up the hill along the trails until you can see over the bridge and take an epic photo. Turn off the main road briefly to visit Sandon Point, a beach and headland located in the town of Bulli. The waves here are incredible and the water is often crowded with surfers. Even if you don’t surf, it’s so much fun watching all the experienced surfers bobbing in the rippling ocean and shredding on the massive waves. While strolling along the many beaches in the area, you are bound to come across a rock pool. These rectangular pools are essentially just walls of concrete that create a “pool” out of the ocean water and sandy floor. They allow you to enjoy the sea without getting rocked by waves, and Australians often use them for swimming laps. I find the pool in Austinmer to be exceptionally beautiful and spacious. The Wollongong City Library has locations in Corrimal, Thirroul, Wollongong, and a few other towns in Illawarra. If you live in Australia you can join for free, but even if you’re a visitor you can still browse through the books, read the interesting magazines, and chill out in the quiet, comfy reading areas on a rainy day. In Helensburgh you can pull over from Lawrence Hargrave Drive into a small car park with signs for Kelly’s Falls. Climb the short route through the forest to find two beautiful waterfalls located within a few minutes hike of each other. They are both picturesque, and the serenity of being immersed in nature feels amazing. Australians love their coffee, and you can often find big morning crowds at the local cafes. There are simply too many adorable cafes with good quality coffee to count, so just stop in whichever one catches your eye and indulge in some warming drinks, homemade desserts, and smashed avo toast. Some of my favorites are Bread, Espresso & in Thirroul, Quay Canteen in Wollongong and Pilgrims Vegetarian Cafe in Corrimal. This peaceful woodland trail begins right next to Coalcliff train station. It is perfect for a hot, sunny morning as the towering Eucalyptus and and Gumtrees create a shady canopy over the forest walkway. Follow the Forest Walk uphill for a beautiful view over Stanwell Park. Also known as “The Farm”, this gorgeous surfing reserve has the most picture perfect beach full of consistent waves and crystal clear water. It has the perfect little waves for surf lessons, and also some bigger waves in the southern corner for more experienced surfers. Kiama is one of the most noteworthy coastal cities along the Grand Pacific Drive. Full of little cafes and artsy shops, it’s a pretty town for exploring and walking along the beach. On a day with a big swell and high tide, check out the famous Kiama Blowhole and its neighbor the Little Blowhole. For a classic, South Coast beach day, spend some time at Werri Beach in Gerringong. Just south of Kiama, this large stretch of soft sand is framed by rich green coastal scenery on the sides and rippling waves in the front.